Unboxing an Unstoppable Cards TERMINATOR 2 Trading Cards Box! Card collecting is a timeless tradition, and some Terminator collectors have spent their hard earned money obtaining every set of cards associated with the Terminator franchise. Well now there is another edition we can collect, when Unstoppable Cards released a new “Terminator 2: Judgment Day” 25th Anniversary official trading card set last month! So we figured why not do an unboxing for fans, so they know what goodies are in store for them? Tell us your favorite T2 Quote and win a “TERMINATOR 2” Trading Card Box from Unstoppable Cards! “Hasta la vista, baby.” “How’s the knee?” “Say, that’s a nice bike.” The blockbuster sci-fi sequel Terminator 2: Judgment Day has so many quotable lines. 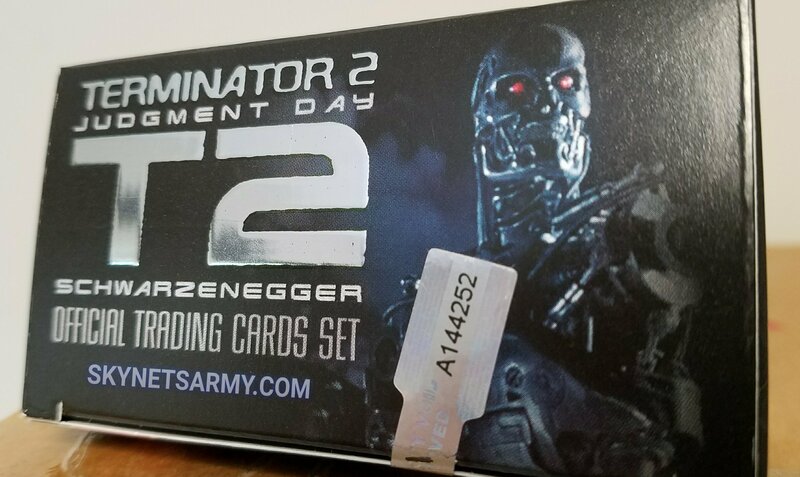 Now, if you tell us what your favorite line is from T2 on one of our social media pages, you can win a Terminator 2 2017 Trading Card Box from Unstoppable Cards! Go! Now! And SAVE 15% on “TERMINATOR 2” 2017 Trading Cards! The time has finally arrived Terminator fans! The Pre-Order launch has begun for Unstoppable Cards’ Terminator 2: Judgment Day 2017 Trading Cards! And members of our Army will receive a whopping 15% Discount on top off the already discounted pre-order special price, thanks to Unstoppable Cards! More T2 sketch cards from the “TERMINATOR 2” official trading card set by Unstoppable Cards! A few months ago, Unstoppable Cards anmounced they would be releasing a new “Terminator 2: Judgment Day” 25th Anniversary official trading card set later this summer. And inserted among those cards will be rare, one-of-a-kind sketch cards. 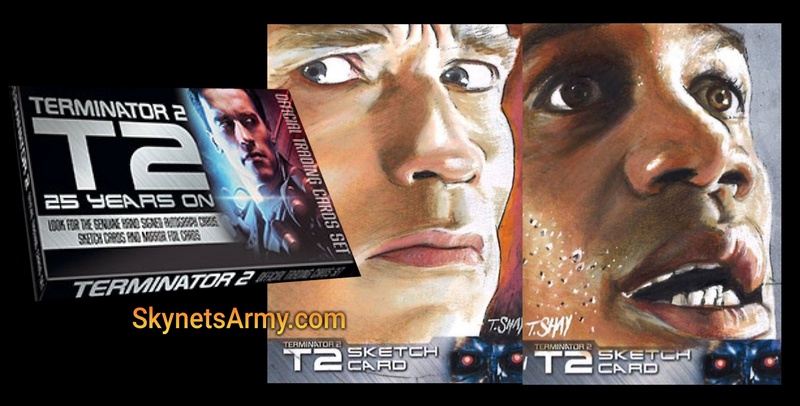 Taking a closer look at T2 sketch cards from the upcoming “TERMINATOR 2” official trading card set by Unstoppable Cards! Card collecting is a timeless tradition, and some Terminator collectors have spent their hard earned money obtaining every set of cards associated with the Terminator franchise. So we are sure those same Terminator fans were elated to hear, when it was announced a few months ago, that Unstoppable Cards would be releasing a new “Terminator 2: Judgment Day” 25th Anniversary official trading card set later this summer!